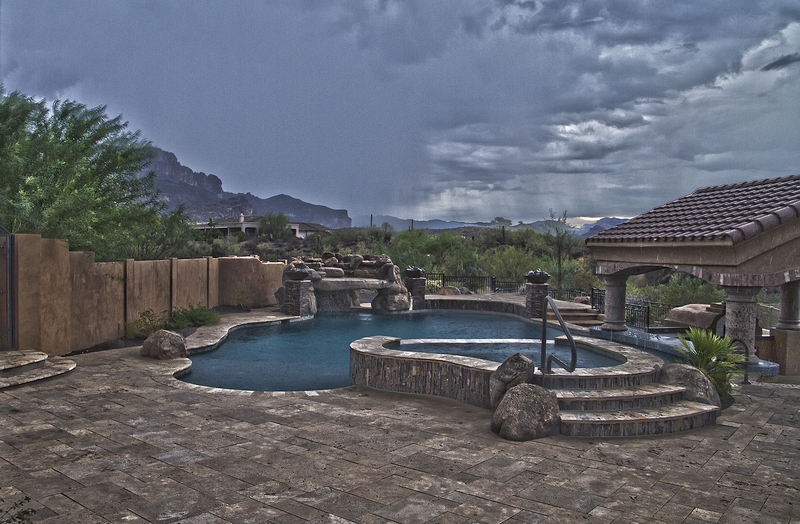 Selecting a pool is a big decision, so it is always best to do your research prior to choosing the pool and company you are going to work with, and have a budget in mind so that the pool builders in Phoenix will be able to walk you through the process and help you take your idea to the next level, without breaking the bank. The average cost of building a pool can come in around the $20,000 range, depending on the size and design of pool you choose. There are many things to consider before purchasing a pool including the size, above ground or in-ground, materials that will be used, heating and filtration, and any extras you may want to include in the construction. If you choose a larger pool, then you can expect to see a higher price tag. The cost of installation and operation will cost more than a smaller pool. The biggest factor in deciding which size to go with is how much available space you have in your yard. You should also determine how much pool you think you will want and if your yard can accommodate it. The excavation and installation of the pool are where the costs are the highest and then another sizable percentage of the cost goes toward the materials that are used. Some materials include cement, tiled, or vinyl-lined. The initial cost of using concrete is higher, but this material will last longer than a vinyl-lined pool. The vinyl will eventually tear and will need to be replaced. The tile will provide a beautiful aesthetic, but it also comes at a higher price. A significant consideration about your new pool are the costs that are involved with the upkeep and maintenance. The heating and filtration systems are important because they will be working continuously so it is vital that you purchase good systems that will last. You don’t want to have to replace these systems regularly. Purchase more initially for a good system, and you will save on repairs and replacements in the long run if something were to break. It is always a good idea to consult with a professional pool builder in Phoenix so that they can guide you through the process and further explain the pros and cons of each material. They will also help you determine which additional features will work in the space you have available.